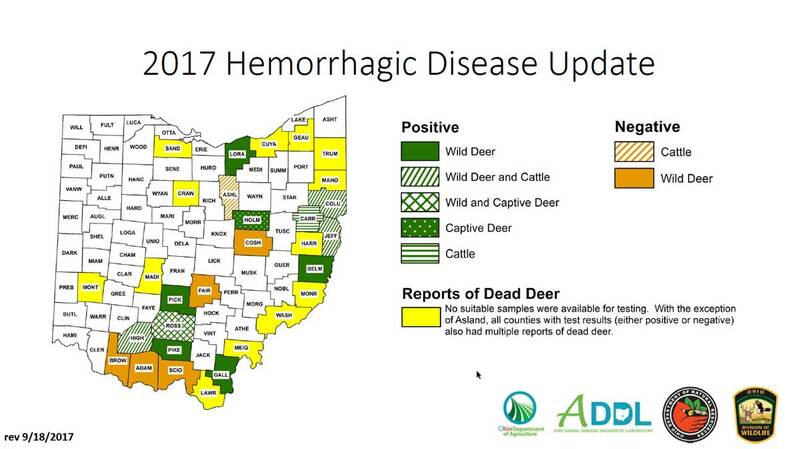 What can an outbreak of EHD (epizootic hemorrhagic disease) do to the whitetail population in Ohio if a wide scale infection occurs? According to records, the first case of EHD was reported in Jefferson County Ohio in August, affecting domestic livestock. A large whitetail buck was reported in Lorain County and confirmed by the Ohio Dept of Agriculture’s animal disease diagnostic laboratory. Since the last outbreak of 2012, numerous whitetails have been found dead in Columbiana and Jefferson counties as well as neighboring counties in Pennsylvania and Kentucky. Are we on the verge of a widespread deer kill or will Mother Nature control the spread through weather and killing frost? What can hunters do? How is this viral infection caused? Epizootic Hemorrhagic Disease (EHD) is a virus that affects domestic and wild hoofed animals. It is transmitted by the bite of a small midge (culicoides) known as “no-see-ums,” gnats and biting flies smaller than a mosquito. They transmit the virus by biting an infected host and then a susceptible one. And so begins the cycle. Signs of infection are highly variable and many infected deer appear normal or show only mild signs of illness. When illness occurs, signs and lesions change as the disease progresses. The animals are affected by the onset of a feverish and depressed state, swollen head, neck, tongue or eyelids and difficulty breathing. Deer usually die in one to three days from a severe infection. Some survive longer, becoming lame and lose their appetite while others may become disabled for weeks or months by lameness and emaciation. The development of different lesions as progression occurs has led to the categorization of 3 forms of hemorrhagic disease: Peracute, Acute, Chronic. A very rapid form shows only severe fluid swelling (edema) of the head, neck, tongue, eyelids and lungs in animals living somewhat longer. A “classic hemorrhagic” form occurs. These animals may have edema in the same locations as Peracute but also have hemorrhages or congestion in the heart, pulmonary artery and oral mucosa, with some having erosions or ulcerations on the dental pad, tongue, palate and rumen. The chronic form is signified by growth interruptions of the hooves and possible sloughing of the roof walls. Other chronic lesions include: oral ulcerations, Papillae loss and scarring of rumen mucosa. But also note not all of the above lesions will be found in an individual deer. Other diseases also produce similar hemorrhagic and ulcerative lesions. Dead whitetail are often found in or near water. 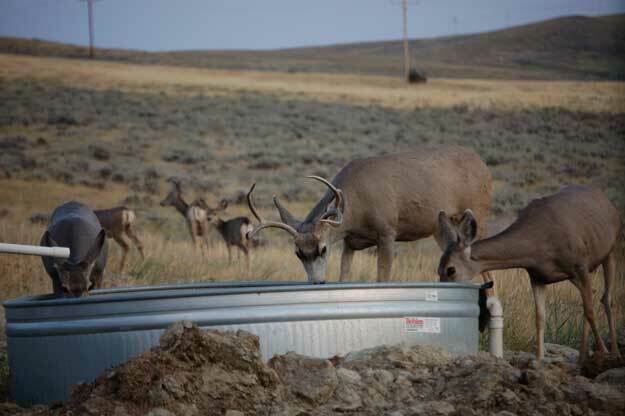 The high fever and edema causes an unusual thirst and deer seek water and often die there. EHD occurs when there seems to be an abundance of the culicoides insect. These tiny biting flies are the culprit for spreading the disease. The males and females both survive by eating nectar from flowers but only the female needs to eat blood for the maturation of fertilized eggs. Females typically deed at dusk or dawn often in large swarms in the vicinity of water, marshes or rotting vegetation. The females then proceed to lay their eggs en masse in habitat ranging from water vegetation, slow running streams, damp soil and manure heaps. Nature seems to provide the conditions for the outbreaks of biting flies. Man has tried to control them but has failed. Nature provides a kill switch that occurs after the first frost. All the biting flies die off and so do the EHD outbreaks within a few weeks. The severity and distribution of hemorrhagic diseases are highly variable. Past occurrences have ranged from a few scattered mild cases to dramatic outbreaks. Death losses during outbreaks usually are well below 25 percent, but in a few instances have been 50 percent or more. To date, repeated outbreaks have not represented a limiting factor to deer population and growth. 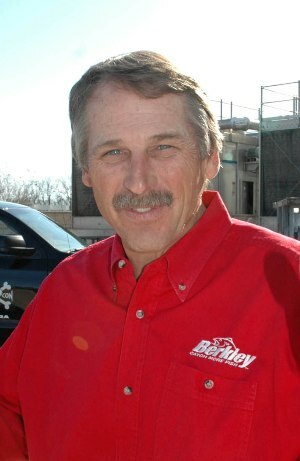 There is little evidence to suggest that outbreak severity is related to population density. HD is the most important viral disease of whitetail deer in the U.S. and occurs over a large part of the country. Although the frequency and severity of outbreaks vary regionally. The disease is caused by related orbiviruses in the epizootic hemorrhagic disease (EHD) and blue tongue (BT) virus serogroups. Because clinical disease produced by EHD and BT viruses is indistinguishable, the general term “HD” (hemorrhagic disease) often is used when the specific virus is unknown. The EHD and BT viruses are transmitted by biting flies and HD occurs seasonally in late summer and early fall and then quickly ends after a killing frost. So what I’ve gathered here is that the virus is spread by a biting midge that breeds in stagnant and warm waters after a drought or prolonged warm spell. The insects emerge and bite the whitetail and the virus is spread by a female midge biting a whitetail that has been infected and so passes it on to the new host. The virus is not always fatal but has a very high mortality rate. Some animals eventually build up a resistance and some do not. The EHD is not transferable to humans and the meat is safe to eat. Livestock can also be infected and the disease may be spread from flies that were incubated in manure piles and cattle watering holes. Although it seems that Ohio’s deer herd could be doomed, EHD has been here before and always dies out in the winter. At present, there are no wildlife management tools or strategies available to prevent or control HD. Although die-offs of whitetail often cause alarm, past experience has shown mortality will not decimate local deer populations and that the outbreak will be controlled by the onset of cold weather. Some information was found on the Cornell Wildlife lab webpage, The DNR wildlife disease website and regional research. What many hunters completely overlook is that a tick can be as deadly as a rattlesnake. In the past, I’ve come in from hunting and had several hundred ticks on me. I had never been too concerned about them before, but this past year I had Lyme disease, as did my son Billy and his wife, Laura. Learn all about hemorrhagic disease in white-tailed deer, with information on how to identify HD in your deer and wildlife populations and what to do if you notice afflicted animals. 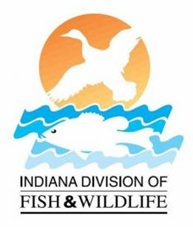 The Indiana DNR Division of Fish & Wildlife reports that lab tests failed to detect chronic wasting disease in any of the 1,031 tissue samples collected in 2012 from hunter-harvested whitetail deer.